As everyone knows by now, Ebola has officially spread to the United States, with the first case appearing in Dallas, Texas. Unfortunately, nurses across America are saying that they are untrained and unprepared to deal with the Ebola ‘crisis,’ unable to take care of patients arriving in the emergency departments infected with Ebola. Thomas Eric Duncan was initially sent home post his first visit to the emergency room at the Texas Health Presbyterian Hospital, even after voicing that he had just returned from Liberia – where the Ebola outbreak is present. This is an example of complete incompetence on the hospital staff’s part, and supports what nurses are saying about the Ebola outbreak. So far, Ebola has killed 3,338 people in the deadliest outbreak record. It doesn’t compare to things like the Spanish flu pandemic during 1918, killing hundreds of thousands or even millions of people, or the Asian flu pandemic of 1957, killing 70,000 Americans, but it is still an issue in our modern time that must be prevented and resolved. In fear of a huge outbreak of Ebola in the United States, nurses are running to hospital managers, seeking training on how to best protect themselves and others from infection and on how to best care for patients who are experiencing Ebola-like symptoms. 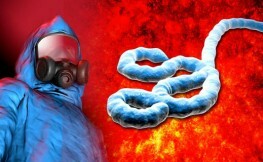 Reportedly, the Texas Health Presbyterian Hospital, where Thomas Eric Duncan stayed, had completed Ebola training just before the patient checked in the emergency department on September 26th. Oddly enough though, they simply sent him home only with antibiotics, as mentioned earlier. No wonder nurses are worried. “The Texas case is a perfect example,” said Micker Samios, a triage nurse in the emergency department at Medstar Washington Hospital Center, the largest hospital in the nation’s capital. “In addition to not being prepared, there was a flaw in diagnostics as well as communication,” Samios said. Samios and other nurses are saying that, due to the lack of preparation, Ebola could spread like wild fire. If hospital staff aren’t equipped to recognize Ebola cases and thereafter take necessary precautions, what is stopping this virus from spreading? At Medstar, the issue of Ebola training came up at the bargaining table during contract negotiations. “A lot of staff feel they aren’t adequately trained,” said Samios, whose job is to greet patients in the emergency department and do an initial assessment of their condition. To add to Samios’ comments, a recent poll of 400 nurses in over 200 hospitals finds that many nurses agree that American medical technicians aren’t prepared for Ebola. In fact, 60% aren’t ready for Ebola, and 80% say they received no extra communication on hospital preparations for the virus. About 30% said not enough protective gear is available to handle Ebola. “If there are protocols in place, the nurses are not hearing them and the nurses are the ones who are exposed,” RoseAnn DeMoro, executive director of National Nurses United, a union for US nurses, said. Karen Higgins, a nurse who works at Boston Medical Center, agrees. She says that hospitals are saying publicly that they are ready for any patients with Ebola, but they probably really aren’t. “People say they are ready, but then when you ask them what do you actually have in place, nobody is really answering that,” said Higgins. The Centers for Disease Control and Prevention, however, continues to say that hospitals are indeed prepared for such an outbreak, and that citizens should not worry. But no matter what, it is essential to take matters into your own handles and self-prepare. If you aren’t already, it is time to supercharge your immune system with various herbs and superfoods. has the Ebola virus? I don’t think you can. I mean no offence. I love you anyway. Be afraid Jacob be very afraid!